Lake Bailey is a shallow wilderness lake just right for canoeing, kayaking, watching wildlife and fishing for perch and pike. it is not a swimming lake. There are numerous public beaches in available in the area however. 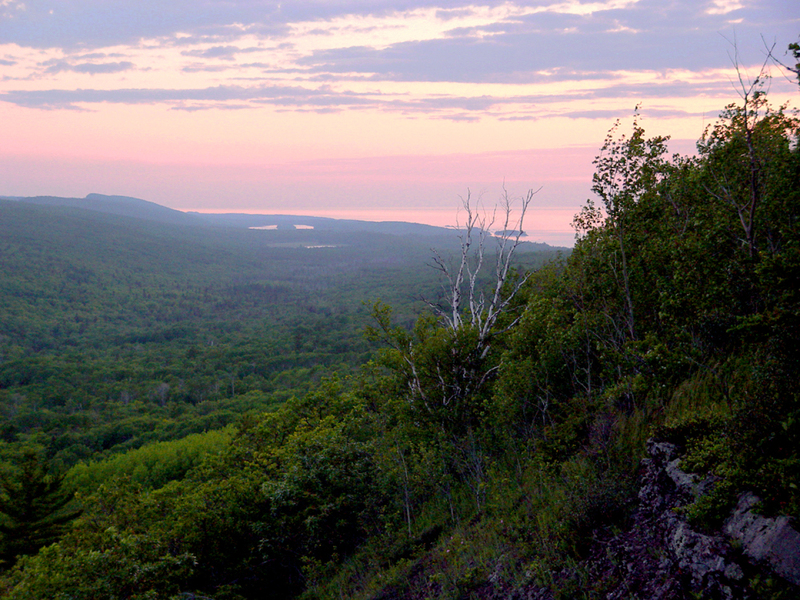 The peninsula is perfect for sea kayaking, hiking, birding and biking (Copper Harbor is home to world class mountain bike trails) and other outdoor activities. There are historic mines to explore, lighthouses to tour and agates to find along remote Lake Superior beaches. Local shops, golf and fine dining are just minutes away. 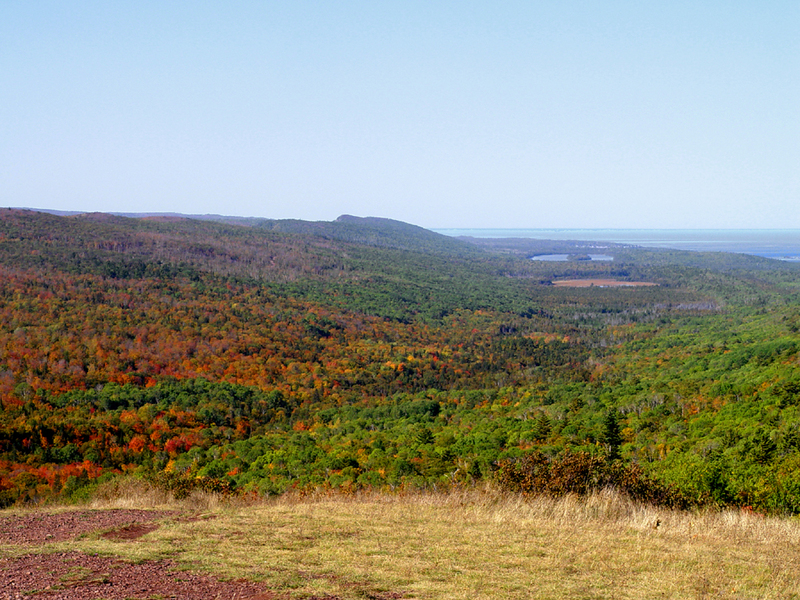 A drive up Brockway Mountain greets you with beautiful vistas of Lake Superior shoreline. Watch for passing freighters, observe hundreds of migrating hawks, view a spectacular sunset of watch the night sky fill with stars and maybe catch a glimpse of the aurora borealis. The cabins are located only 2 miles from the lovely town of Eagle Harbor. There is a lighthouse tour and a lifesaving museum as well as a bar/restaurant and a sandy swimming beach. Now enjoy all the seasons of the Keweenaw in one of our two, new winterized cabins. Snowshoe right from your cabin. Cross country of downhill ski on local or area trails. Whether it’s watching a dog sled race of a enjoying a quiet winter walk, we have comfortable cabins where you can truly relax. Mount Bohemia downhill ski/board area is only 14 miles away. Leaving the cabins, turn right (east) about 3 miles - you will cross Silver River and to your right you will see the entrance of Brockway Mountain Drive, take it. 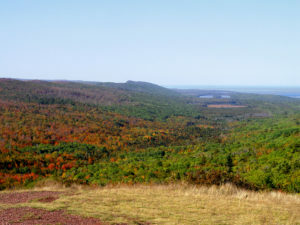 It's 7 miles to the top where you will find panoramic views overlooking the area and Lake Superior. Then head down the other side toward Copper Harbor. It's about 3 miles to the bottom with several pull offs for viewing. At the bottom, turn right into town. After visiting, go back to you cabin via M-26 for a breathtaking drive along Lake Superior.